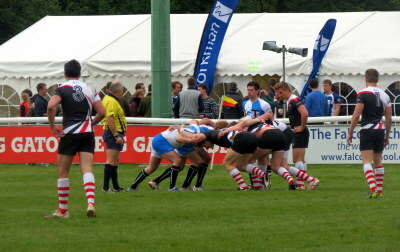 The National Surveyors Sevens Tournament has become one of the major 7s events of the calendar year, officiated by the London Society and International referees. Sixteen internationals have played in this tournament including the likes of Chris Ralston, Andy Irvine, Chris Oti, Rob Andrew, Andrew Harriman, Gavin Hastings and Lawrence Dallaglio, and even today when there are no internationals the standard remains high. In 2019 the event will take place on Thursday 9th May. For more information please email Carly Chapman on carly.chapman@the-raa.co.uk.